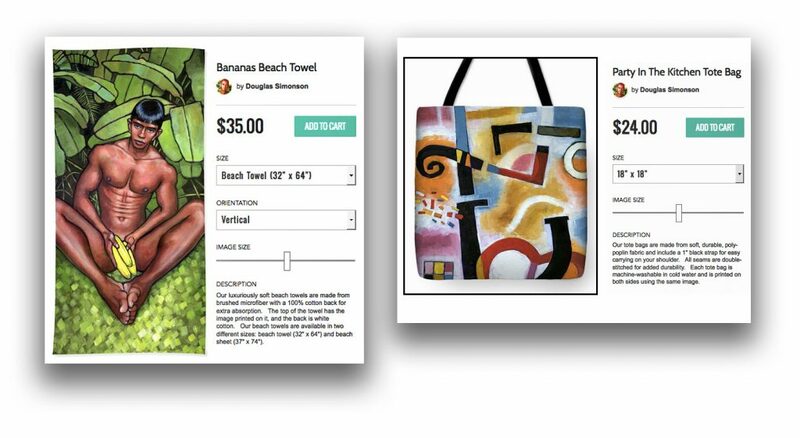 BACKGROUND: Fine Art America is a separate website where Douglas Simonson exhibits and sells his work, in order to give collectors many additional options–as you’ll see below. Would you like to have your Simonson print arrive already framed? That’s one of the big advantages to shopping on Fine Art America. On Fine Art America, you can choose the size of your print to fit perfectly in the spot you’ve chosen in your home. 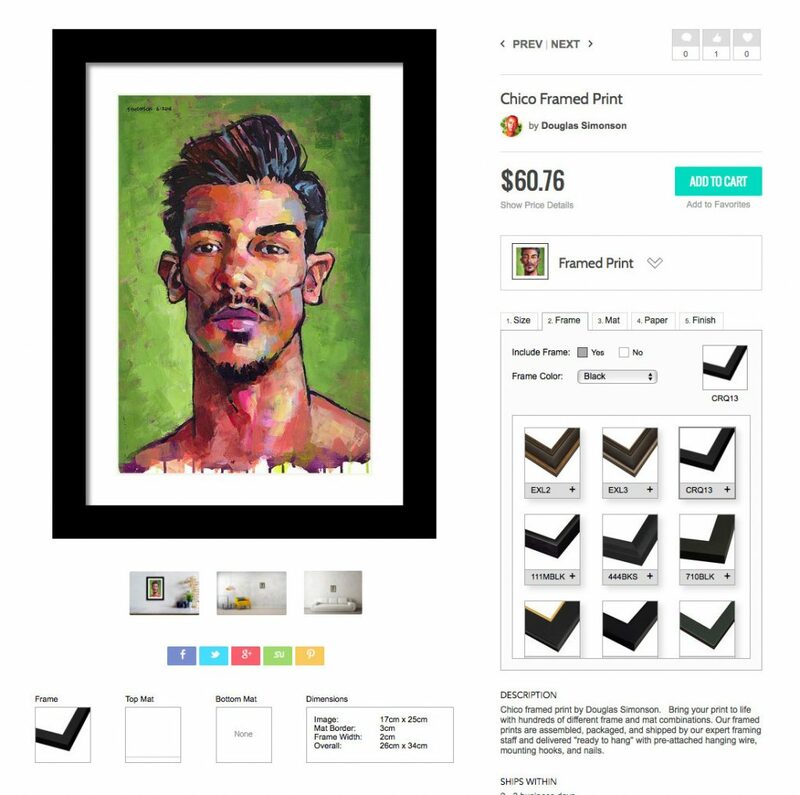 You can choose to have your print on paper, canvas, metal, or wood. You can choose the type and width of the framing treatment, and whether to include a mat or not. And you can preview how everything looks before you place your order. But wall art is just the beginning. Fine Art America offers a wide variety of art-inspired products. 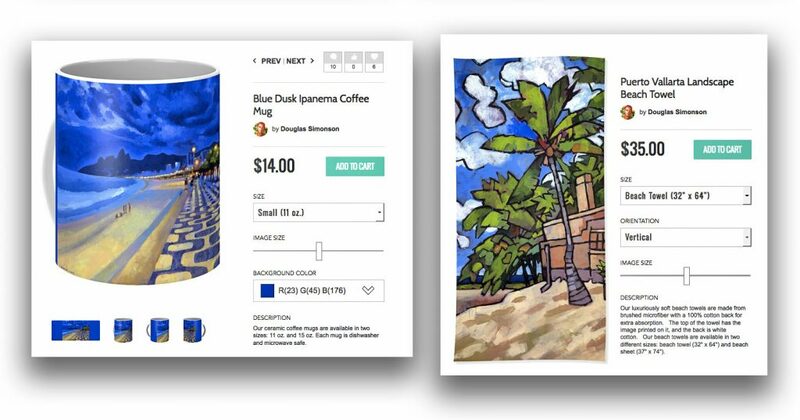 You can have your favorite Simonson painting beautifully reproduced on a beach towel, a yoga mat, a coffee mug, a tote bag, even an iPhone case. In addition to all that, the Simonson gallery on Fine Art America is an amazing experience all on its own, with over 600 of the artist’s works from the past 35 years. 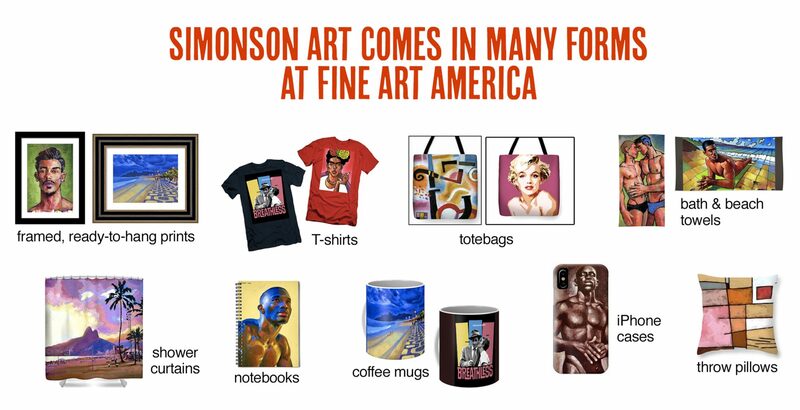 You can see Simonson images on Fine Art America that you can’t even see on the Simonson website itself. Visit the Simonson collection on Fine Art America here.